So it has been a while since I wrote on my blog. It was not because I wasn’t because I wasn’t traveling…but mainly because I was finishing up my masters thesis, which is due by Friday! Last week, I traveled to Mexico with my partner’s family. It was the Xmas present from his mom, so we all went for 5 days to the Riviera Maya. It was my 4th time, but I had never gone to the famous “Chitchen Izta” ruins. So we booked a tour that brought us to the archeological site, in the Yucatan province. 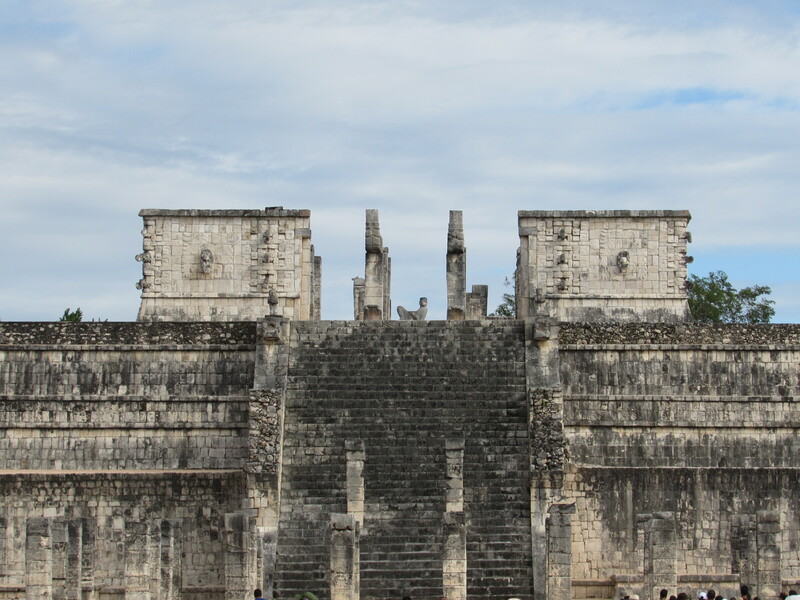 The ancient city was built by the Mayan people and it was one of the largest built by the Mayans. The site is declared a UNESCO world heritage site and is also considered one of the 7 wonders of the world. Chitchen Izta literally means “at the mouth of the well of Izta”. During the equinox, approximately 50 000 people visit the site in order to observe the serpent effect on the northwest side of main pyramid. The public used to be allowed to climb up the pyramid several years ago, however it is now forbidden to touch the ruins. There are several other sites that you can visit, such as “the temple of warriors” and the “great ball court” that are part of the city.